DPI is addressing the needs of distribution, manufacturer rep's and light manufacturing businesses as a turn-key full service network and systems solutions integrator. We are a company committed to taking care of our customer's needs through long term relationships with our products, services, support and business consultant offerings. Our expertise and years of experience working with our customers to improve their competive edge in business technology has helped us gain a reputation of being an asset on their road to success. DPI Information Services, Inc's solutions are built on a standard platform that's easy to customize to your particular business needs. DPI Information Services Inc. is an Authorized Infor Channel Partner. We will work closely with you to make sure you get a solution that fits your way of doing business. 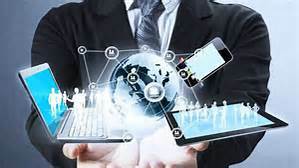 For more information about how DPI Information Services Inc. can help your software work for you please contact us to schedule a free business needs analysis. We are focused on providing Infor Distribution Software to small to medium sized companies all over the United States. 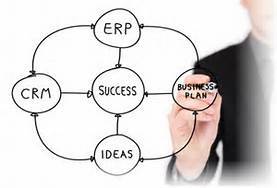 With this strong business ERP software systems, the technologies employed with Infor Distribution, an our extensive experiences, we have enabled clients to effectively integrate diverse business processes and realize a rapid return on investment with applications that meet the real world needs from their software. As certified Infor patners, DPI Information Services, Inc., provide best-in-class distribution software that addresses the essential challenges faced by distributors in key areas such as enterprise resource planning (ERP), supply chain management, customer relationship management (CRM), performance management, warehouse distribution software and much more. These distribution software solutions are built around the business processes - from design and planning, to sales, delivery and after-market services and support.